D-Link International, one of the world’s biggest suppliers of network products, has unveiled the newest member of their voice-over Internet protocol (VoIP) range – the D-Link SIP Wi-Fi Phone (DPH-541). It combines the freedom of wireless connectively and the cost saving of VoIP. The DPH-541’s SIP protocol support ensures compatibility with different VoIP services, while features such as ‘echo cancellation’, ‘packet delay compensation’ and ‘lost packet recovery ensures superio1r voice quality’. The DPH-541 can utilize a wireless connection at home, hotels, airports and Internet cafes, just to name a few. A large, bright liquid crystal display (LCD) screen displays call information such as call history, address book entries and caller ID numbers. Other convenient features such as redial, mute and hold are also supported. 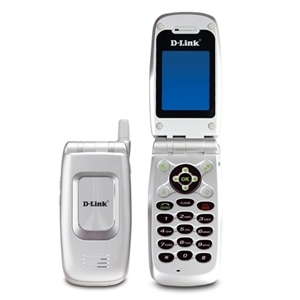 The D-Link DPH-541 retails at approximately US$200. Click here to read more from D-Link.